Runway shows — who needs ’em? Instead of the requisite strutting, models at WRKDEPT started lying down on a bed of crinkly white tarp, allowing guests to get a bird’s-eye view of the garments. Tbh, kinda wished I, too, could have had a nap amongst all the fashion week madness. 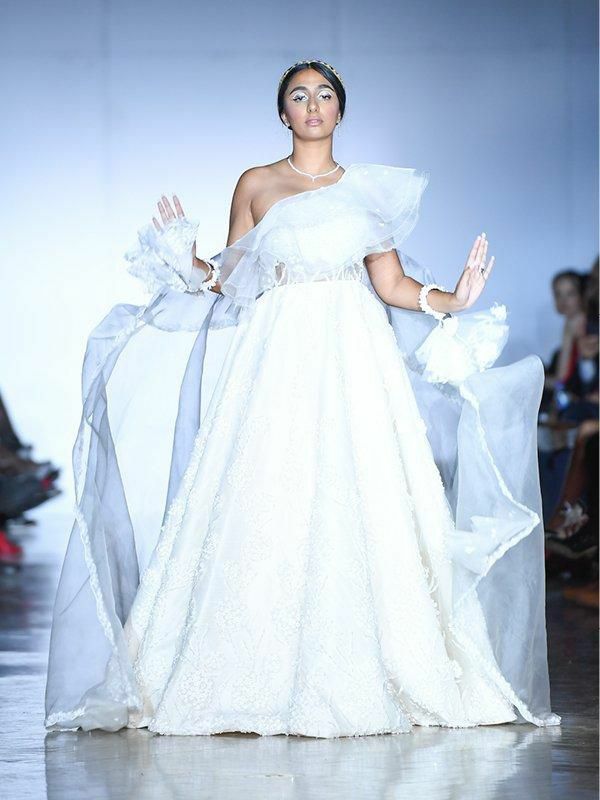 YouTuber Kiran Rai took Mani Jassal’s last look — a wedding gown not unlike the bridal moment that closes most couture collections — down the runway to a typical processional, then, out of nowhere, drops her veil and Tamia feat. Fabulous’s upbeat Into You blares out of the speakers. Safe to say the crowd was pleased.